The grey sheath on the heaps of dry apple trees once remained fruit bearing orchard and would result in millions of rupees market for the land owners from Killa Abdullah district. 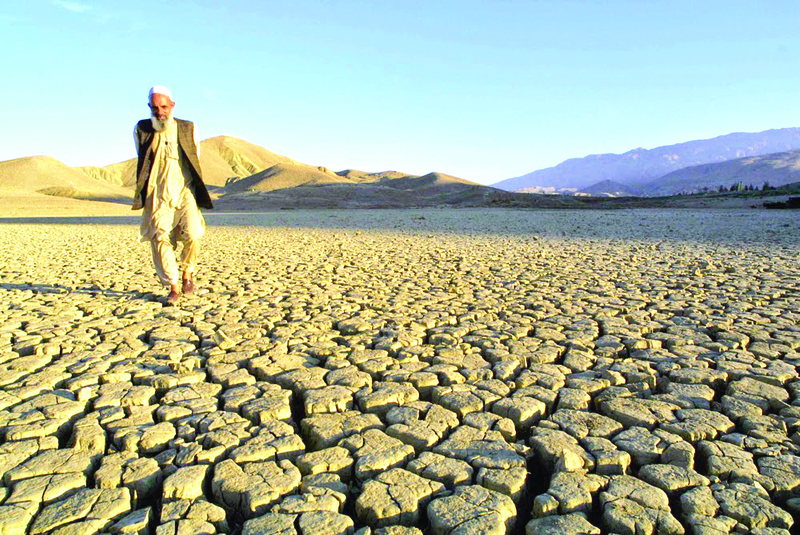 The climate change, long lasting drought in Balochistan and absence of annual rain and snowfall caused water scarcity in the province. The province had enough agriculture and used to find good revenue in the national and international fruit markets. The shortage in rain fall has intensified the situation and millions of fruit bearing trees are lost in the phase of last two decade long drought. 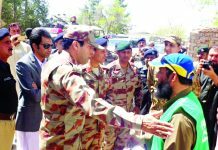 Many families from the mountainous region fled and are now after getting their bread in the metropolitan city of Quetta. 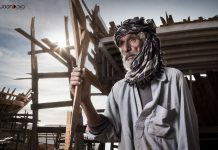 Haji Asmatullah Masezai, 70, used to be a land and fruit company owner, who once used to rule the Karachi and Punjab fruit market is now having no money to send his children to a quality school, he told Balochistan Inside. According to Haji Asmatullah Masezai, he lost his agriculture business because the area he lives in has no water for irrigating his orchards. “I lost everything I had as my wealth; underground water didn’t remain any longer and dried 2000 trees are now used for the burning purpose only”. Like Haji Asmatullah thousands of families are either directly link to the agriculture for decades or are the fruit sellers, commission agents and daily wage workers around the district lush green fields and regionally well-known Apple business. Abdul Wali Shamshozai, 50, is another land owner who is afraid of the underground water table and no electricity in the summer warm days when enough water is needed for the Apple orchards. “I have some 2,500 trees, only 300 are mature and produce 4,000 boxes of apples every year”, says Shamshozai. The high number of tube wells and no rain and snow fall is causing water scarcity in the area. Thousands of trees in and around villages were cut down because their tube wells dried, told Shamshozai. “God knows better what will be the future of our Apple trees? If it doesn’t rain we will soon have dry wells and no incentive to remain here”. The drought has affected the agriculture of the province for last two decades and has caused the death of 4.5 million fruit bearing trees according to Haji Abdul Rehman Bazai, Secretary General of the Zamindar Action Committee (land owners action committee). “The tube wells are the main source for watering our agriculture and more than 30,660 tube wells across the province have dried”. Though Pakistani prime minister Mian Muhammad Nawaz Sharif was part of the United Nations conference on climate change. According to the conference statement: “At the 2009 Copenhagen Conference, the States Parties decided to limit the temperature rise to 2°C compared to the pre-industrial era, which requires drastically limiting greenhouse gas emissions through energy efficiency measures, investing in renewable energy sources, and reforestation, amongst other things”. 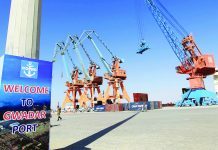 On the other hand in the well-known project China-Pakistan Economic Corridor, Pakistan is struggling to fulfill its need through “coal” power plants. Coal-fired power plants are being constructed by HUBCO in Hub town of Balochistan as well. Ahsan Iqbal, Federal Minister for Planning and Development and Reforms of Pakistan told a gathering in Peshawar Islamia College University. “By utilizing Thar coal treasure we can get 5,000 megawatt electricity for 400 hundred years” told Ahsan Iqbal. It must be known that World Health Organization (WHO) states that fatal illnesses can be caused by harmful emissions of coal-fired plants. As a result, World Bank and other financial institutions have stopped funding of Coal-fired power plants. The International Union for Conservation of Nature (IUCN) official Faiz Kakar said that Balochistan is no doubt faced by the hardships in the form of natural disasters, earth quakes, floods, droughts and food insecurity. “The industrialist nations pumped up carbon in the space and now developing nations including Pakistan would pay the price in the form of climate change caused disasters”. Zahid Saleem, Director General of Provincial Disaster Management Authority (PDMA), told Balochistan Inside that Relief items are pre-positioned in almost all the vulnerable districts through seven relief hubs across Balochistan and one Humanitarian Response Facility (HRF) in Quetta in case of disaster caused due to Climate change. He further added that PDMA is encouraging research in the area of Climate Change and Disaster Risk Reduction in the context of Balochistan at the University level. “Findings of these researches will be used to address issues related to Climate Change through policy formulation,” DG PDMA told Balochistan Inside. Neither federal nor provincial government are concerned about the situation of agriculture and natural disasters taking place owing to climate change, Zamarak Khan Achakzai, deputy opposition leader in Balochistan assembly told. “People of the province are ignored and their issues are never taken on the priority basis; climate change is no doubt a disastrous bomb tied to our neck”.